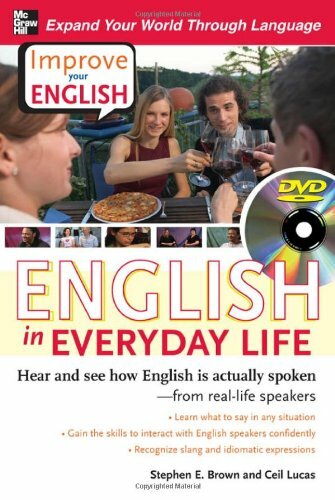 Improve Your English: English in Everyday Life combines the video advantages of DVDs with the educational benefits of fluent American English speakers in unscripted interviews. You will benefit from hearing real people-men and women from various regions and backgrounds-having spontaneous conversations about themselves and their daily lives. The DVD also has a transcript and workbook designed to refine your listening and speaking skills.